Before beginning the process of downsizing, visit your new space. Take note of the square footage and the basic layout – wall space, where the appliances are located, number of windows and how much storage. Start to think about how to arrange your furniture and if any of your pieces can suit a dual purpose. This will be a huge help when you are trying to decide what to keep. Choose your moving company and schedule a moving date. If you have a flexible timeline, choose an off-peak time to move to reduce your moving costs. Don’t choose a weekend, the first few or last few days of the month nor mid-morning to move. Instead, choose the middle of the week, middle of the month and early in the day to get the best price. If you are really seeking a good deal, choose to move in the fall or winter months. Don’t tackle this in one or two days – take your time. If you think it will help, ask a friend, family member or even a professional mover to help you sort through your belongings. Start with the big items first – choose the furniture that will fit into your new space comfortably. Going from big to small will help you fill your space. As you sort through your stuff, think about the things you use and the things you haven’t used in years. Determine what you are going to keep, give to friends and family members, sell, donate or discard. Collect and keep important documents – social security card, personal identification cards, medical records, tax returns, deeds / titles, birth certificates, passports, etc. Avoid keeping multiples – coffee pots, frying pans, sets of china, crock pots, etc. 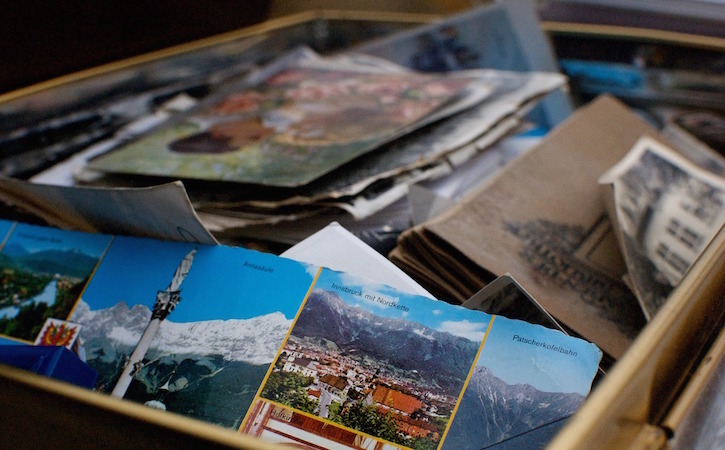 If you have limited storage, consider digitizing family photos to save space. Shred old paperwork – old checks, financial and medical documents, etc. Pass keepsakes – and the stories that go with them – to family members. If you are a collector, only keep the pieces you absolutely love! If you still have too many to fit into your new space, keep only a few, take photos and compile a book of the rest. This will help you keep your memories alive and with you. Now that you’ve sorted through your belongings, it’s time to buy your moving supplies, recruit a few good helpers and pack. Whether you’re moving across country or across town, here are a few tips to help you pack your valuables. Use the right size box. Pack heavy items, like books and dishes, in small boxes and light-weight items like linens and pillows in larger boxes. Don’t pack items from different rooms in one box. Make it easy on yourself – pack all the bathroom stuff in the bathroom box, etc. Fill the empty space in the box with packing paper or something soft. Label your boxes clearly. Include the destination and contents. It will make it easier for you and those helping you move. Determine which items need extra-special attention – flat screen tv, china and artwork. You’ve made it through the tough part, now it’s time to settle in and make your new space feel like home. Keep your helpers handy to help you arrange furniture and unpack what you need most first. Unpack the boxes first and hang your artwork last. Take your time and settle in at your own pace. Downsizing and moving is difficult for anyone at any age. Hopefully these tips will help you.